If you have kids, at some point, you have inevitably heard them complain that they can not find one of their Apple devices. Missing iPhones, iPods, or iPads seem to be a regular occurrence. The Find My iPhone app can be very useful for locating misplaced devices. You probably heard news stories about people using it to locate an iPhone that had been stolen. While it usually makes for a great news story about the police tracking-down an unsuspecting thief to recover a stolen iPhone, there are also everyday uses for the app. It can be used to locate an iPhone, iPad, iPod touch, or a Mac computer that has simply been misplaced somewhere in your house. Before an iPhone goes missing, you will need to setup the device so it can be tracked. If this feature is not activated on a device, you will not be able to search for it. To activate the feature, open Settings and select iCloud. If you are not already signed into iCloud, enter your Apple ID and password to enable iCloud. Once iCloud is active, set the Find My iPhone slider to the ON position. Make sure you activate Find My iPhone on all your kids devices. You should use separate Apple IDs for each child when activating iCloud on each device. 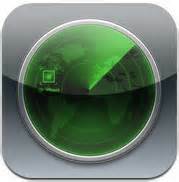 Now that all the devices are setup, your next step is to download the Find My iPhone app from the App Store. You will use it to locate devices when they go missing. To download, open the App Store on your device, tap the Search button at the bottom of the screen, and enter the app name in the search field. To download it to your device, tap the button labeled FREE, then tap INSTALL APP. After entering your password, it will automatically download to your device and be ready for use. The next time your child complains about their device being lost, open the Find My iPhone app and enter your child’s Apple ID and password. It will search for all devices associated with that Apple ID. Any devices that are turned on and connected to the Internet will show on a map. Select the misplaced device from the list of devices and you will see a screen with the following options: Play Sound, Lost Mode or Lock, and Erase iPhone. Tapping the Play Sound button will simply make the missing device start playing a binging sound. The sound will play for two minutes at full volume. This is very helpful to locate that missing iPhone or iPod that was inadvertently misplaced somewhere in the house. You will be surprised how quickly a missing device can be located simply by following the sound. The sound will play even if the device was set to mute. If the device is not connected to the Internet, the sound will play the next time the device is online. If the device is running iOS 6, you will see the Lost Mode option. Devices running iOS 5 will have an option to Lock the device. Both options are designed to prevent someone from using a lost device by remotely locking the device. You will be asked to set a passcode that must be entered to unlock the device. Lost Mode allows you to track the device as it moves. You can also set a message that will appear on the device’s lock screen to provide contact information in case someone finds the device. This option allows you to remotely erase all personal data from the missing device. If the device is not connected to the Internet, the data will be erased the next time it is online. As an alternative to the app, there is also a web-based tool you can use to locate a missing device. From any computer web browser, go to http://www.icloud.com and log in using the Apple ID and password associated with the missing device. The web-based tool functions very similar to the standalone app.